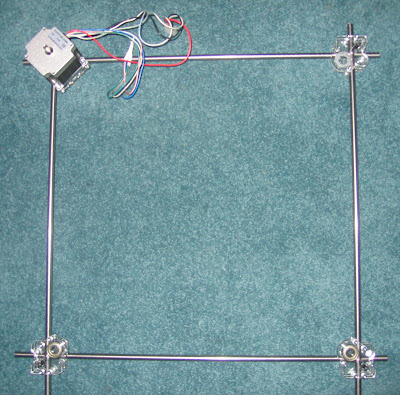 The lower frame is built and square. Note: don't overtighten nuts. Use your fingers to hold the nut rather than a tool as it prevents cracking the acrylic. 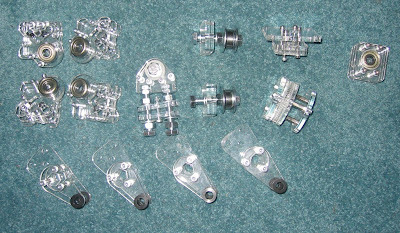 A variety of other corners and parts of the y-assembly. I think these are tools for any mechanical work.